Emerging markets hedge funds drew in over $9B in new assets last year. This is a great deal more than was investing in this area 5 years ago when only $3.3B was put into these types of hedge funds. One reason why this strategy has been receiving so much attention is while the average hedge fund had performance of around 11% last year emerging market hedge funds returned close to 25%. HFR notes that these high performance numbers were fueled by eye-popping returns at funds like the GLG Emerging Markets Fund which surged 50.5%, the Kazimir Russia Growth fund which gained 48.77%, and the Moore Emerging Market Fund's 45.62% increase. "The success of emerging markets hedge funds—combined with recent activity of sovereign wealth funds—is beginning to have a noticeable impact on global capital markets," Kenneth Heinz, HFR's president, said in a statement. 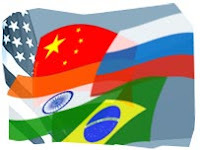 Here is an article the WSJ did on the draw of emerging market hedge funds.